Rustin Gudim/The Aspen TimesAspen's City Market will close for nine days beginning on Easter Sunday. ASPEN – Aspen’s City Market grocery store is facing another closure related to its extensive renovation project. The supermarket chain’s spokeswoman, Kelli McGannon, said the Aspen store on East Cooper Avenue will likely close for nine days from Easter Sunday, April 24, through Monday, May 2, to install new shelves. All of the grocery’s items will have to be removed, along with the current shelving, and then put back into the store after the new shelves are installed. To accommodate the project, the store was closed for more than two weeks during the fall, from Oct. 28 to Nov. 14. The remodeling project started last spring and is scheduled to be finished by June 15. She stressed that the store will definitely be open during the week before Easter, a typically busy period for supermarkets. McGannon also acknowledged that the massive project has been frustrating for many customers. They have had to deal with tight aisles, a smaller parking area, product location changes, a narrow entryway and other inconveniences. Last month, the store received a state permit to remove asbestos from its ceiling. That work was performed at night, when the supermarket was unoccupied, and did not affect daytime operating hours. 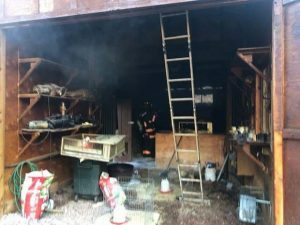 City of Aspen officials gave their permission to allow the night work, which fell outside of allowed construction hours. She estimated that the project is a little more than 50 percent complete. 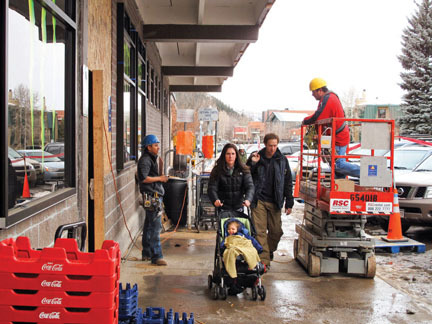 McGannon pointed out that it’s not easy to remodel a store like the one in Aspen. Linda Hernandez, who was shopping at City Market on Saturday afternoon before heading back to her home near Glenwood Springs, said the upcoming closure would only be a mild inconvenience since she typically does most of her grocery shopping downvalley. The housekeeper said she likes to stop into the Aspen store every week or so, after work and before heading home, because it’s conveniently located near the Rubey Park bus depot. Local shopping options during the upcoming temporary closure of City Market include Clark’s Market, across from the post office off Puppy Smith Road, and Roxy’s Market, located outside of the city limits in the Airport Business Center off Highway 82.